Bumba Books now in Spanish! Back in August, we were very excited to announce the launch of Bumba Books™, a colorful new family of non-fiction titles for beginning and emerging readers. Library-bound editions featured a square, 9×9” design for easy grip by young hands, along with bright colors, comprehension-enhancing photographs, easy-to-read fonts, and critical thinking questions peppered throughout the text. Lerner Digital’s eBook and Interactive editions were released at the same time as multi-user digital copies that included many additional learning-to-read tools. Now we are thrilled to announce that Bumba Books is expanding to include Spanish-language titles this coming Spring season! These eBooks are perfect for young Spanish speakers (pre-K to first grade) as well as kids growing up in bilingual households or attending immersion schools. 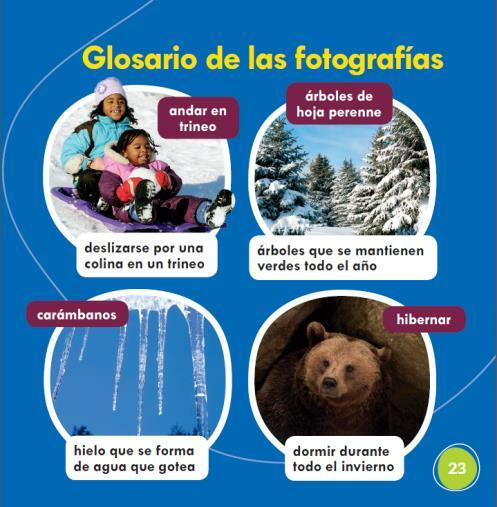 With all the same fun yet educational features of the Bumba Books you already know and love, Bumba Books en español brings exciting non-fiction topics into focus for anyone learning to read in Spanish. Did you know that a group of rays is called a school (in Spanish, un cardumen)? Or that a starfish’s eyes are located on its arms? How about the fact that dolphins use sound to help them find food? Tessa Kenan uses a gentle, informative voice to create portraits of six fascinating ocean creatures. Animal lovers are sure to read these over and over again! You know those kids who can’t get enough of cars, trucks, and trains? Well, THIS is the series for them. Máquinas en acción is a fast-paced series about fast-paced machines like police cars (los carros de policía), ambulances (las ambulanicas),semi-trucks (los tractocamiones), motorcycles (las motocicletas), trains (los trenes), and monster trucks (los camiones monstruo). Buckle up! Here is a series for the child who is just learning to read and who might also be nervous about the changing seasons. Balancing interesting tidbits about the natural world (check out the cute photo of a bear in hibernación mode in ¡El invierno es divertido!) with details about what humans do during different seasons, this series shows kids that every season is fun in its own way. As in every Bumba Book, there is a picture glossary in the back. Which sports does your child like to play? This series explores six different options, from the tried-and-true (soccer/el fútbol) to the sometimes underappreciated (gymnastics/la gimasnia). In the back there is a labeled diagram in every Bumba Book, and in the Sports Time! series, each title maps out the playing field. 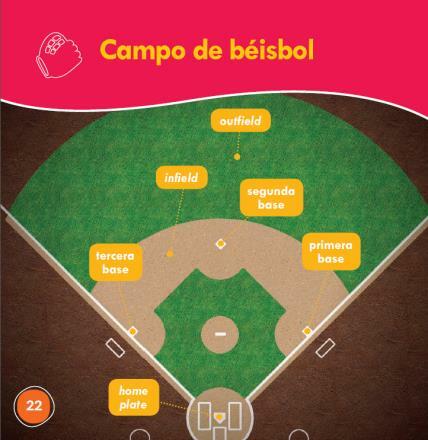 Kids will love memorizing the diagrams of each sport’s play area—la cancha for basketball, la piscina for swimming, and el campo for baseball and football. Be sure to check out these exciting Spanish eBooks from Lerner Digital when they come out on January 1st, 2017!